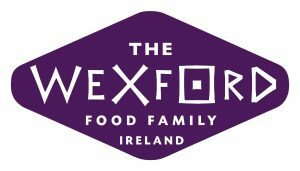 To celebrate the success and outstanding work of Wexford Based Food and Beverage Producers with exceptional reputation and brand recognition for their goods. These awards recognise the superior quality and excellence which is found among food and beverage producers in Ireland. Tell us about your sales and marketing activities, both online and offline, that demonstrate business performance, presence, awareness, sales leads, conversions, and growth. Please provide details of how you measure your success. •	Tell us about your sales and marketing activities, both online and offline, that demonstrate business performance, presence, awareness, sales leads, conversions, and growth. Please provide details of how you measure your success. •	What is your business strategy? Briefly outline your vision and tell us about your management/operational systems, business planning, risk management, cost control, financial management, performance targets, measurement tools, sustainability measures, expansion/development plans.